After the smash hit UK Bhangra Awards 2014 - 2017 Culture Unite & Lyca Radio presented the smash hit UK Bhangra Awards 2018 on Saturday 10th November in the luxurious Regency Banqueting Suite, Birmingham (5pm to 11.30pm). This prestigious red carpet event included 24 awards, live performances, dinner and dance. 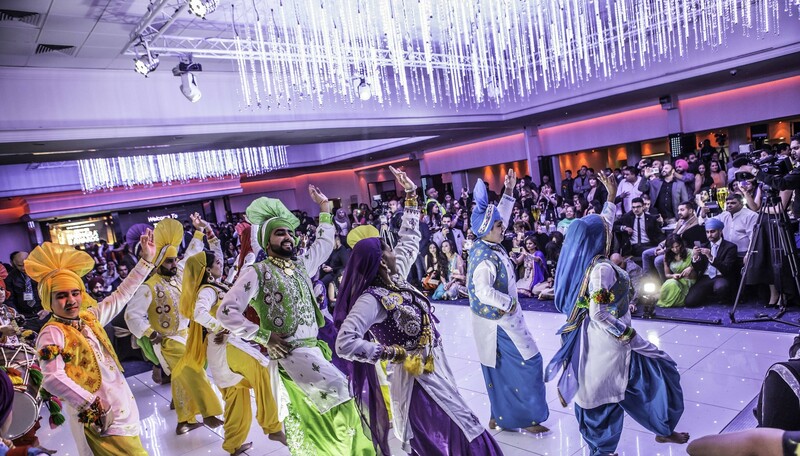 UK Bhangra Awards represents a lifestyle, tradition and cultural values, which encompass the very soul of Asians in the UK. Bhangra fans from all communities will be united and delighted at the grand ceremony. This tremendous showcase will unveil the best artistic talent within the nation and beyond. Receiving an award is truly an honour and one of the highest accolades for recipients as they are fairly voted winners by the public. We understand that when it comes to awards ceremonies the setting is of utmost importance and must be both visually impressive and fully equipped to offer the facilities needed to exceed expectations of guests. Taking all these factors into account, we were delighted to be hosting the event in the luxurious Regency Banqueting Suite, ideally located on Hagley Road in the heart of Birmingham. Attendance at the event was made up of Bhangra industry fraternity, VIP's and general public.